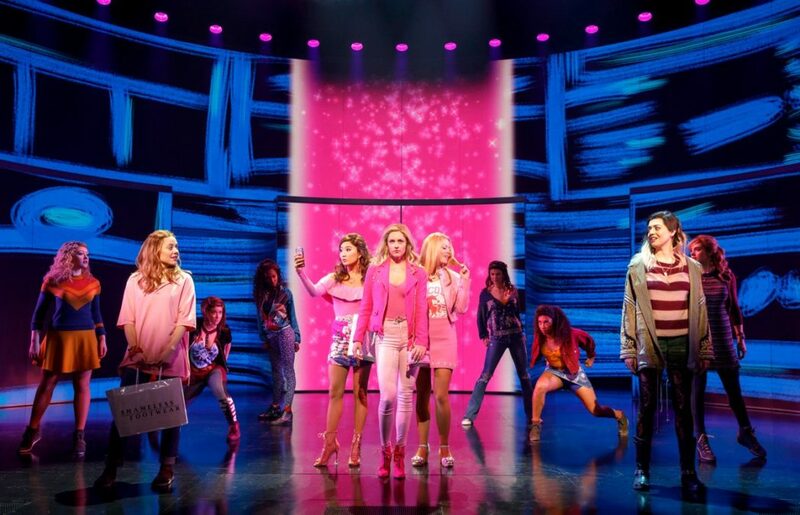 The show's 12 Tony Award nominations and 15 Broadway.com Audience Choice Award nods are so fetch, but the Mean Girls musical is just getting started. Tony nominee Tina Fey's new musical adaptation of her hit 2004 film will launch a national touring production in the fall of 2019. The show announced the tour on its Instagram account, urging followers to "stay tuned for updates." Tour cities and casting will be announced at a later date. We’re coming at ya like a speeding school bus! #MeanGirlsBway is beyond excited to announce that our National Tour will start Fall 2019—be sure to stay tuned for updates. Mean Girls centers on Cady Heron, a high-schooler who moves to Illinois after years of living with her zoologist parents in Africa. A sweet, naive newbie, Cady quickly attracts the attention of The Plastics, a trio of popular frenemies led by the vicious and calculating Regina George. When Cady devises a plan to end Regina’s reign, she learns that you can’t cross a Queen Bee without getting stung. Mean Girls stars Erika Henningsen as Cady Heron, with Tony nominee Taylor Louderman as Regina George, Tony nominee Ashley Park as Gretchen Wieners, Kate Rockwell as Karen Smith, Barrett Wilbert Weed as Janis Sarkisian, Tony nominee Grey Henson as Damian Hubbard, Kerry Butler as Ms. Norbury, Kyle Selig as Aaron Samuels, Cheech Manohar as Kevin Gnapoor and Rick Younger as Mr. Duvall. Featuring a book by the film's screenwriter, Tina Fey, a score by Jeff Richmond and Nell Benjamin and direction/choreography by Casey Nicholaw, Mean Girls opened at Broadway's August Wilson Theatre on April 8.